At VIP Chef Services & Catering, we ensure that the events we cater are handled by the best personal chefs in the Connecticut area. Your guests will experience a WOW effect from the quality of cuisine, distinctive styling, and world class customer service – where each of our personal chefs serve you with their epicurean expertise, a warm smile and old fashioned grace. Our team of dedicated professionals will orchestrate every aspect focusing all of it’s talents to ensure that your event is a success. We are dedicated to welcome and impress you and your guests with the highest calibre of service and VIP style taking care of all of the details so you can relax and enjoy! Whether for a gathering of friends or a more formal affair, Our personal chefs will make your occasion spectacular. We can provide you with professional and dedicated service, no matter what event you need us for. 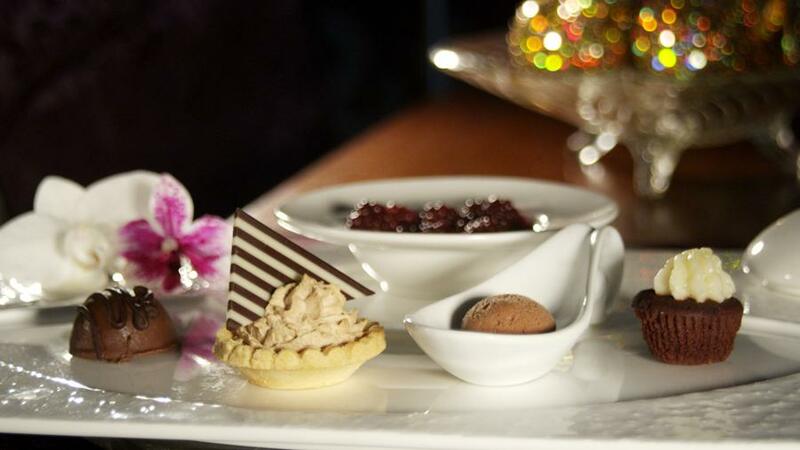 We promise the best Connecticut personal chef service designing memorable culinary parties where your senses are challenged by extraordinary presentations. 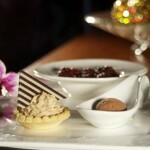 Our chefs will transform your event into a gastronomic adventure, planning each course with the best seasonal products. We distinguish ourselves apart from our competitors by combining truly unique and innovative dishes providing options from which you can select from and a flawless execution that reflects your style. Every time you work with us at VIP Chef Services & Catering, something new awaits. We promise to give you a night that you and your guests will never forget – as our business is making our clients happy, and the best way to do that is to give you the best at-home services. You can expect the highest quality food because we are always evaluating the best purveyors and local artisan markets. Because we choreograph the right group for your event, flawless execution is assured. We strive to make every guest have a wonderful memory to cherish. 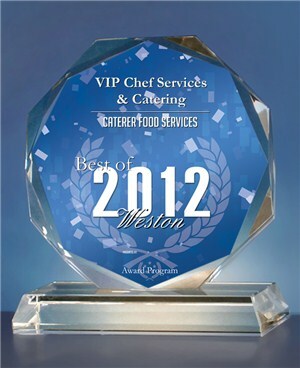 At VIP Chef Services, our personal touch to every event is our trademark. No matter what event you require our personal chef service for – whether a casual party, a multi-course dinner or a corporate event for your colleagues – our Connecticut chefs provide the very best quality of products that you deserve. We will custom design each menu, combining innovative ideas with world class style so you and your guests will be delighted. Our food presentations and butlered trays are as gorgeous as they are delicious, styled with fresh flowers or crystal props to give our events a stylistic edge. VIP Chef Services can take a classic dish and with our distinctive presentation, make it something visually and deliciously special. We especially have signature dishes designed for our vegan and vegetarian clientele that mirror the classics. We don’t follow the trends; we set the trends with our signature dishes. We want you to feel confident that your time spent trying to find your private chef is now over! Treat yourself to the luxury of being completely taken care of. We epitomize the casual elegance of magnificent New England. VIP Chef began its origins in private chef services catering to clients with sophisticated palates who wanted superior quality food for their families. Our maturity expanded an ambition to fulfill our client’s needs with comprehensive event planning and design. Our consistent attention to detail, imaginative presentations and highly trained staff means peace of mind for our clients and a memorable occasion for their guests. We want everybody to feel a VIP experience, and with that we bring our best to every event, collaborating with your style, tastes and theme to connect in perfect harmony. Our personalized chef menus cover a wide range and we can help you choose what works best to suit your tastes. With over 20 years in the personal chef service, we know what our clients are looking for – a love of exceptional food and a flair for exemplary presentation – which is at the heart of your VIP Chef Services experience. VIP Chef Services is passionate about extraordinary culinary events and elegant entertaining from intimate to large events. We understand the importance of paying attention to the smallest of details. Nothing is overlooked and no shortcuts are taken. From the moment we start work on your event, our staff works diligently around the clock to ensure that when the big day comes, your event will run smoothly, WOW your guests, creating a magical dining experience. We are here to help you with the details from consulting on spectacular rentals and table top decor to musicians and VIP amenities. We provide you with all the details you need about our at-home chef services, so you know the entire process before we get started. From the moment your guests step foot in the door, they will be treated like VIPs, providing them with an entertaining and fun-filled night that will be the topic of conversation for years to come. It is our pleasure and honour to do business with you, to make sure that your night is a complete success. Our commitment to you is to create an event that fulfills your vision and exceeds your expectation. Since we started working in the personal chef service covering all areas of Connecticut, VIP Chef Services & Catering set itself the highest of standards to achieve, with our ambition to be the premium personal chef company in Connecticut. Our clients are only used to the best so we make sure that every need is met to assure that at the end of the day – you cannot stop smiling at the quality of service you have been treated to. Every single event is expertly put together, with all the right ingredients – superb cuisine, distinctive styling and sensational services. Every personal detail for your event is incorporated into our action plan with precision, professionalism, flexibility and with a friendly smile. VIP Chef Services’ top quality of service was created with you in mind – every request made by you is ensured to be put into the final plan, our customers treated like royalty. Thanks to the quality of our standards and consistency in the personal chef service, we are a thriving business in Connecticut, for private residential and corporate events. Our specialty is producing spectacular events! Let us create the best catering experience you can possibly find in Connecticut. If you are ready to talk with our VIP Chef Services staff, please call us at 203-221-7711, or e-mail us at spectacularlife@snet.net to arrange a personal consultation with us.